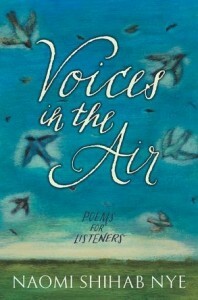 This new collection of poems from the wonderful Nye is a bit of a mixed bag. On the one hand, when she is good, she makes me cry. Her Honeybee and A Maze Me are always the first books to check out when the seventh grade does their poetry unit. She excels at taking every day experiences and imbuing them with the universal truths that make poetry so touching. Even though she writes in free verse (of which I am not a huge fan), her language is still poetic, and her poems do not sound like prose chopped up into random lines. Trust me, that's huge praise from me. I'm hypercritical of poetry. On the other hand, a lot of the poems tend toward the political, and even more of them mention other poets. On a personal level, I loved this, especially since there is a description of the people mentioned at the back. For students, however, this will make the poetry harder to understand. 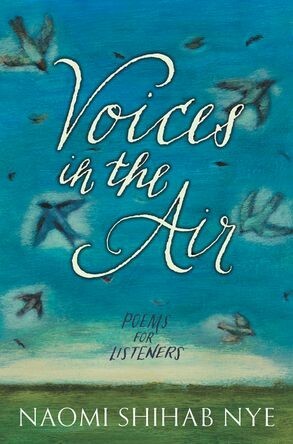 I will probably buy a copy of the book, but only one, and it will not be the hit that her books of poetry for younger readers are. In addition to Unsung- On Finding , A Lonely Cup of Coffee is fantastic. It deserves to be printed on mugs.